In Colorado, DWAI means driving while ability imparted or driving a vehicle when a person has consumed alcohol or drugs, or a combination of alcohol and drugs, which affects the person to the slightest degree so that the person is less able than the person ordinarily would have been, either mentally or physically, or both mentally and physically, to exercise clear judgment, sufficient physical control, or due care in the safe operation of a vehicle. You can be found guilty of DWAI in Colorado even if your blood or breath alcohol content (BAC) is less than 0.05. However, if a defendant’s BAC was 0.05 or less, it shall be presumed that the defendant’s ability to operate a vehicle was not impaired. The fact that a defendant’s BAC is more than 0.05 but less than 0.08 gives rise to the rebuttable presumption that the defendant’s ability to drive was impaired. You have the option of having your blood (but not a breath) sample retested by an independent certified testing facility. 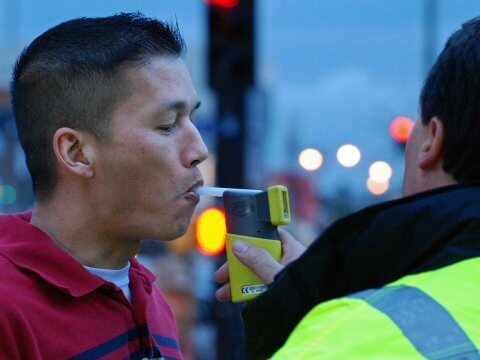 There is a possibility that this second test will assist in your defense since most DUI/DWAI prosecutions are based primarily on the results of the chemical test. There is also a possibility that the retest sample will provide no assistance to you. Penalties for DWAI generally include two to 180 days imprisonment, a fine of $100 to $500, and 24 to 48 hours of public service. In addition, a defendant convicted of DWAI must pay a series of fees related to the above described penalties, and must contribute to several funds. Probation, alcohol and drug evaluation and attendance at a victim impact panel may also be required and may involve additional costs. Note: Penalties are higher for a subsequent conviction (a conviction after a previous conviction for DUI, DUI per se, habitual user, vehicular homicide, vehicular assault, driving under restraint, or DWAI) or when a defendant’s blood or breath alcohol content is 0.20 or higher. The higher penalty includes mandatory jail. At times it is difficult to determine whether you have a previous conviction. Consult an attorney. In addition to the above penalties, a conviction for DWAI can have serious consequences relating to your driver’s license.